The first book box I saw was the one outside the Longchamps swimming baths. I suppose I noticed it because I saw it – see it still – every time I passed by on my way in or out of the building. On its pole by the entrance steps. It’s blue and oblong with glass windows and an odd collection of books visible inside. The first time I opened it to look I found a book of poetry by the Swedish writer Gunnar Ekelöf. It was in a Dutch translation. Clearly this was a book exchange site. Take out a book you fancy, put in one you don’t want any more so someone else can find it. I’ve come across book exchanges before. The one that always comes to mind is the “repurposed” telephone box in my sister’s village in Northamptonshire. But I hadn’t realised how big it is as a movement. It certainly seems big in Belgium. After I recognised the first one I started to spot other book boxes around Brussels. 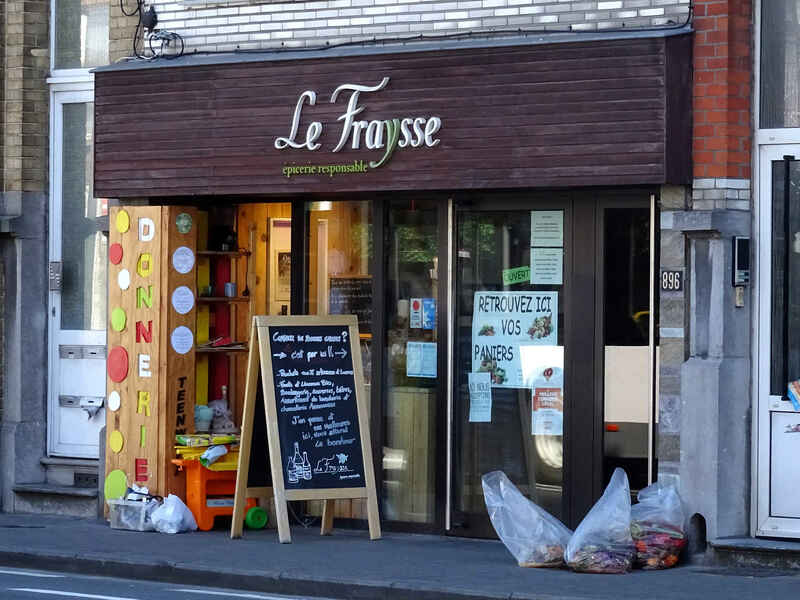 It was easiest in Uccle, the commune – municipality – where I live. Here the boxes all look like the one at the swimming baths. 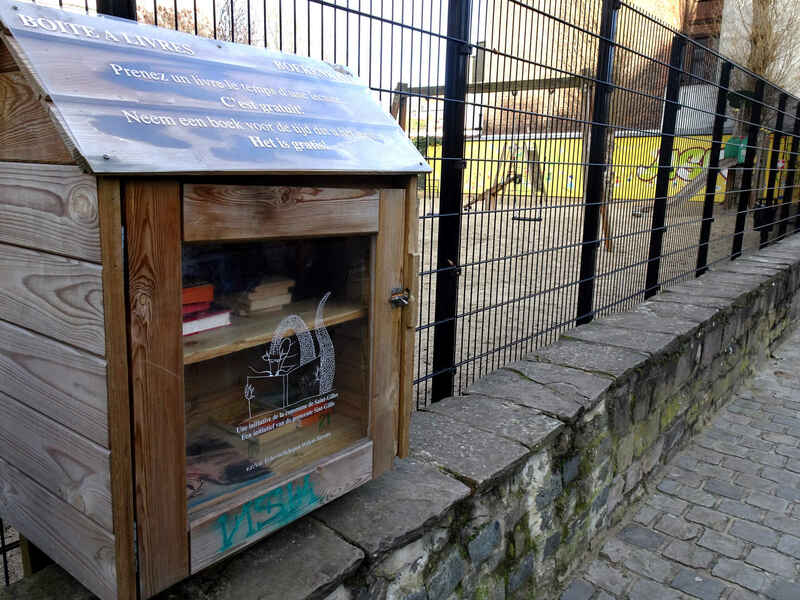 However, several of the Brussels communes also sponsor book box groups. 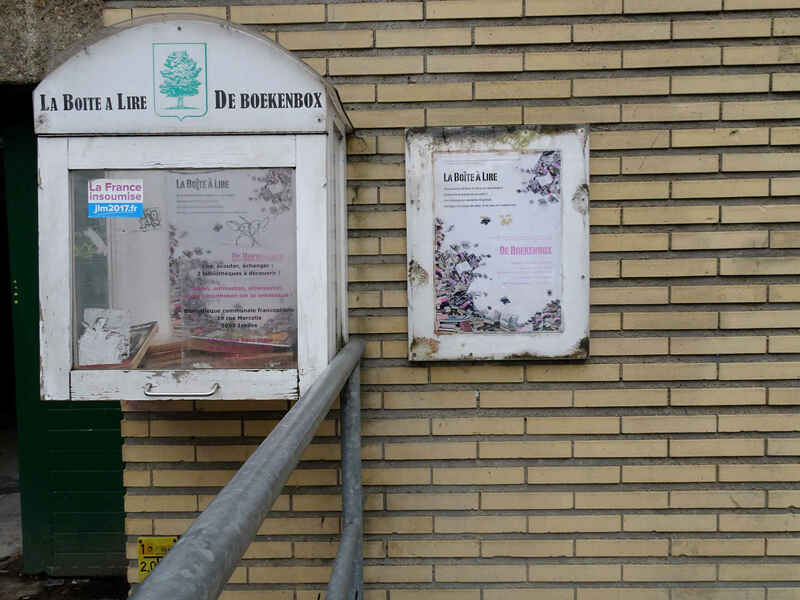 This being Brussels, each municipality has a different colour and design for its book boxes. This makes them at first less easy to spot. There are also some private groups – perhaps even individuals – who have set up their own boxes. Each of these has a unique design. But soon enough your eyes become aware, and then it’s a sport to see where you can find them. Several of the groups who put up the boxes have their own websites or Facebook pages. There are often links to these printed on the boxes somewhere – quite usually along with the addresses of nearby libraries. 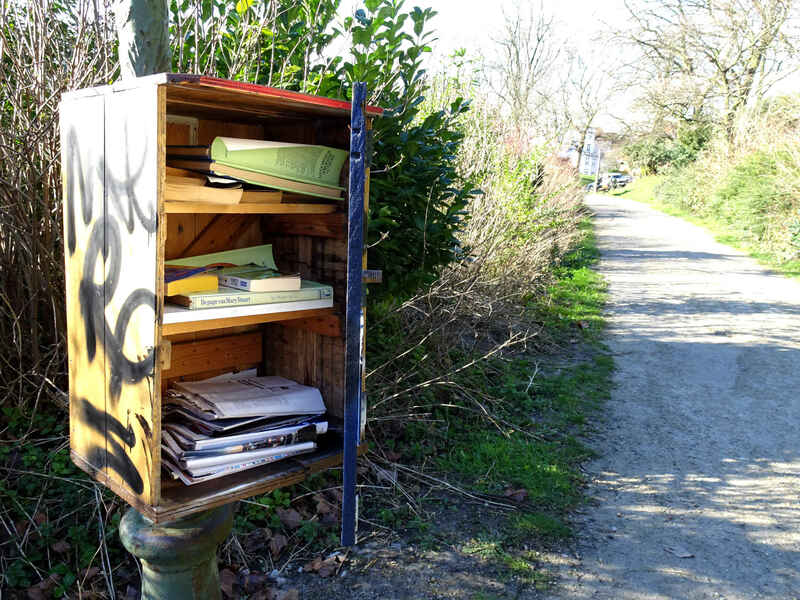 There is even a website (in French and Dutch) where one noble soul is trying to keep an updated list of all the book boxes in Brussels and Wallonia. Forest: Book box in Forest Park. Last spring I noticed the book box in Forest Park. 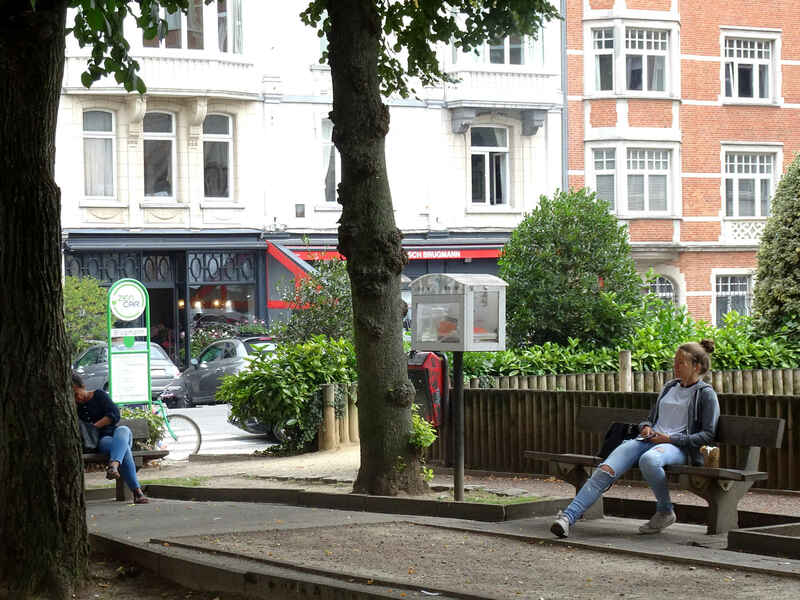 Nothing like the elegant boxes of Uccle or of Ixelles our neighbouring commune. This was dark cupboard. No glass here – but three shelves of books. I was admiring it when a young man came along and asked me something. I made my usual apology: Pardon monsieur, je ne comprends pas français. Parlez-vous anglais? He did Parlez anglais, at least a little. He came from West Africa, from Guinea, and so his first European language was Spanish. 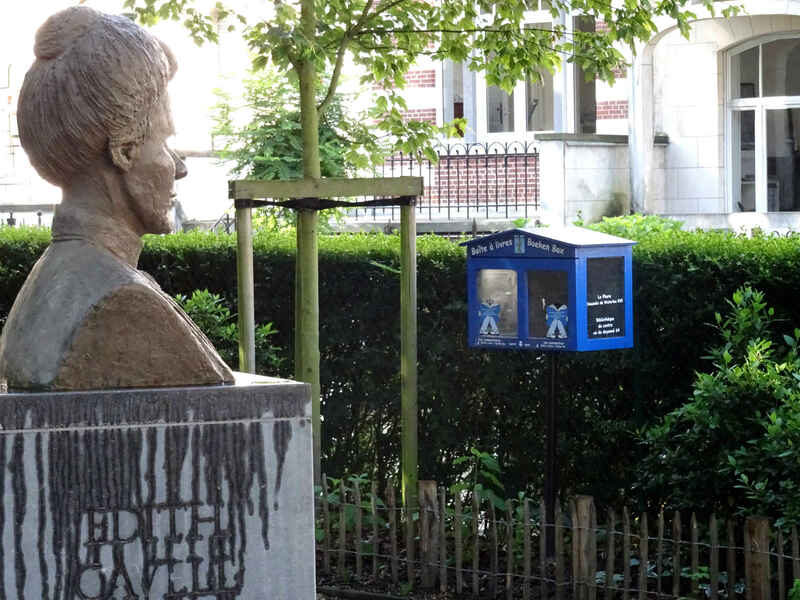 Here in Brussels he was learning French and came along to this book box every week to look for a new book to help him. Sadly I didn’t have my camera with me or I’d have asked to take his portrait as he was browsing. 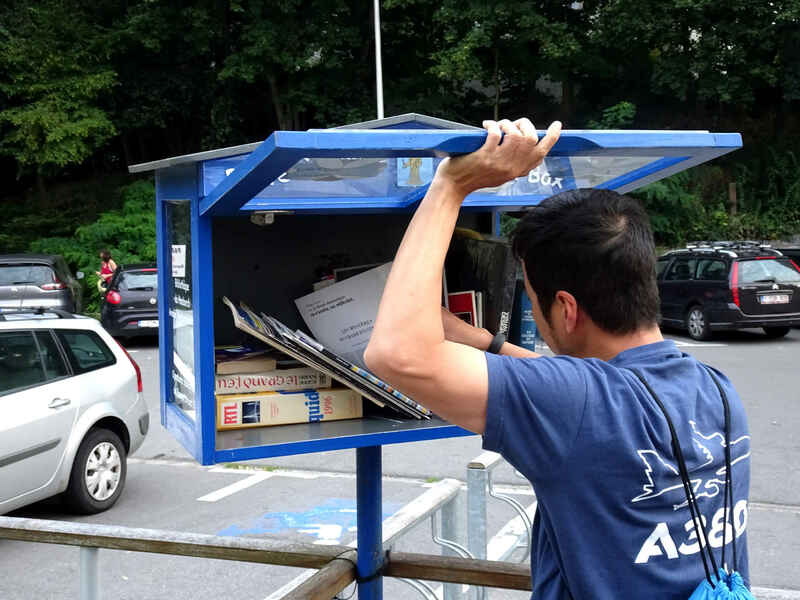 Uccle: Book box at Longchamps swimming baths. Evere: The Donnerie at Le Fraysse, Chaussee de Louvain 896. Judging by the one at the swimming baths, the book boxes are well used. The number of books in the box changes dramatically from one week to the next and the variety of the books also. Although I’ve not seen anything more by any Swedish writer, I’ve seen French and Dutch crime novels, American thrillers and science fiction (usually in French translation). I’ve seen John Le Carré and Les principes de droit belge, school text books and children’s picture books, very new looking books and very old and tatty ones, dictionaries, magazines and comic books. All sorts. Once I’ve completed this article, I think I’ll go through my own shelves and sort out a few books to drop off at the different boxes I’ve found around town. I wrote this entry for the #Blogg52 challenge. I also produced a shorter version in Swedish for Bladet – The newspaper of Svenska klubben in Bryssel (the Swedish Club in Brussels). Originally published ion the separate Stops and Stories website, moved here 6th March 2017.